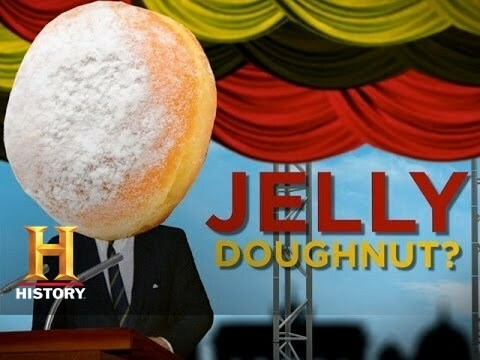 Did JFK actually say he was a jelly doughnut? Find out the real translation of “Ich bin ein Berliner”. Subscribe for more History: https://www.youtube.com/channel/UC9MAhZQQd9egwWCxrwSIsJQ?sub_confirmation=1 Check out exclusive HISTORY videos and full episodes: http://www.history.com/videos Get daily updates on history: http://www.history.com/news/ Check out our Facebook games, and other exclusive content: https://www.facebook.com/History Keep up to date with everything HISTORY by following us on Twitter: https://twitter.com/history Get the latest on show premieres, special events, sweepstakes and more. Share the post "Ich bin Berliner"